Existing patients - no appointment necessary, walk in anytime. All children under 18 with a paid parent can get an adjustment for free. KTLC believes that chiropractic care is the key to optimal health. We are here to serve you. We offer care at the lowest price possible so that it is affordable for everyone. We look forward to coming to work every day in a fun and loving atmosphere where families receive the care that helps them live healthier lives. We love caring for young people. Children of our patients, under the age of 18, will be treated free of charge. If every child were well adjusted, the health of our entire community would be improved. When KTLC sees a child in the office, we are adjusting the spine and preventing a problem. When we adjust an adult, we are correcting a problem and trying to maintain it. There is a big difference. We would rather adjust and prevent than wait until we need to correct and maintain. Dr. John Murphy will see patients from 8AM to noon on Saturday, April 20 while Dr. Wayne attends a family funeral. Discover the key to unlock your health potential with our experienced, principled, chiropractic care. If you have a question about chiropractic care at KEY TO LIFE CHIROPRACTIC please explore our frequently asked questions area. 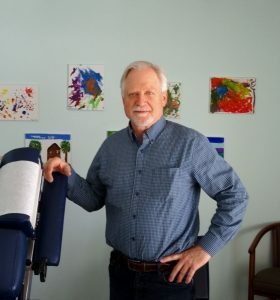 Would you like to know more about Dr. Wayne Christianson at KEY TO LIFE CHIROPRACTIC? Welcome to our website. Let us be the key which makes a difference in your life’s overall health. Whether you have an acute problem, need corrective care, or are looking for a wellness program and want regular maintenance care; we are here to help you unlock your potential and achieve your health goals. The KEY TO LIFE CHIROPRACTIC office is conveniently located at the four corners stop in Prairie du Sac, WI; where Highways 60, 78, PF, and Business 12 all meet. We use the North entrance to 350 Prairie Street and are in Suite 200. There is plenty of parking available. No insurance? High deductibles? High co-pays? No problem. See our affordable fees. Everything is up front with no surprises. Please share a testimonial review about your experience with us at KEY TO LIFE CHIROPRACTIC, in Sauk Prairie, Wisconsin. Simply login to your Google “username@gmail.com” email address and provide a 1-5 star review on our Google+ page here. KEY TO LIFE CHIROPRACTIC is a property owned by WCDC, LLC - Copyright © 2017 - All Rights Reserved.